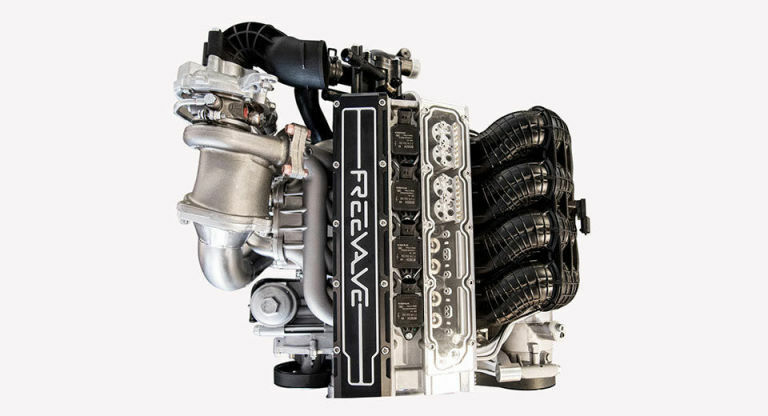 Koenigsegg's Freevalve technology gives 47 percent more torque, 45 percent more power, uses 15 percent less fuel, 35 percent fewer emissions. And a Chinese car should be the first to get it. Chinese car brand Qoros tried to conquer Europe before, but they are no Geely just yet. While the brand is doing okay in China using a 1.6 turbo developed by a bunch of Germans a few years ago, they want more. That's why they gave a call to Christian von Koenigsegg and his pals at Freevalve AB to ask them what their camless technology is all about. After watching this movie, Qoros decided having smaller dimensions and lower manufacturing costs with more power and less emissions is exactly what that 1.6 needed as an upgrade. What they now call Qamfree has conventional port injection, but no camshaft drive, wastegate, throttle body or pre-catalytic converter. What it does have instead is high compression, vastly improved cold start, lower backpressure, individual cylinder shut down and complete valve control. The result is 47 percent more torque, 45 percent more power, 15 percent less fuel and 35 percent fewer emissions from an engine that's also smaller, lighter and cheaper to manufacture. Freevalve's engine debuted in the Qoros 3 hatchback at the Guangzhou Motor Show, and Qoros will carry on by running a fleet a test vehicles for evaluation purposes. If that goes well, the camless engine is here to stay, thanks to China. Info on engine nicknamed "Voodoo"? hbmf3, badhac and 70 Stang like this. Been watching this technology for years, truly amazing. Granted there is a huge push for electrification, but there is still so much left on the table for the ICE. 2b2 and germeezy1 like this.